Django is a powerful web framework that can help you get your Python application or website off the ground quickly. It includes several convenient features like an object-relational mapper, a Python API, and a customizable administrative interface for your application. It also includes a caching framework and encourages clean app design through its URL Dispatcher and Template system. Out of the box, Django includes a minimal web server for testing and local development, but it should be paired with a more robust serving infrastructure for production use cases. Django is often rolled out with an Nginx web server to handle static file requests and HTTPS redirection, and a Gunicorn WSGI server to serve the app. To begin, we’ll download and install all of the items we need from the Ubuntu repositories. We’ll use the Python package manager pip to install additional components a bit later. We need to first update the local apt package index and then download and install the packages. This will install pip, the Python development files needed to build Gunicorn, the libpq header files needed to build the Pyscopg PostgreSQL Python adapter, and the PostgreSQL command-line client. Hit Y and then ENTER when prompted to begin downloading and installing the packages. Next, we’ll configure the database to work with our Django app. We’ll now create a database and database user for our Django application. To begin, grab the Connection Parameters for your cluster by navigating to Databases from the Cloud Control Panel, and clicking into your database. You should see a Connection Details box containing some parameters for your cluster. Note these down. When prompted, enter the password displayed alongside the doadmin Postgres username, and hit ENTER. You will be given a PostgreSQL prompt from which you can manage the database. Note: Every Postgres statement must end with a semicolon, so make sure that your command ends with one if you are experiencing issues. We'll now modify a few of the connection parameters for the user we just created. This will speed up database operations so that the correct values do not have to be queried and set each time a connection is established. Your Django app is now ready to connect to and manage this database. In the next step, we'll install virtualenv and create a Python virtual environment for our Django project. Now that we've set up our database to work with our application, we'll create a Python virtual environment that will isolate this project's dependencies from the system's global Python installation. With virtualenv installed, we can create a directory to store our Python virtual environments and make one to use with the Django polls app. This will create a directory called polls within the envs directory. Inside, it will install a local version of Python and a local version of pip. We can use this to install and configure an isolated Python environment for our project. Your prompt should change to indicate that you are now operating within a Python virtual environment. It will look something like this: (polls)user@host:~/envs$. Note: When the virtual environment is activated (when your prompt has (polls) preceding it), use pip instead of pip3, even if you are using Python 3. The virtual environment's copy of the tool is always named pip, regardless of the Python version. You should now have all of the software you need to run the Django polls app. In the next step, we'll create a Django project and install this app. We can now set up our sample application. In this tutorial, we'll use the Polls demo application from the Django documentation. It consists of a public site that allows users to view polls and vote in them, and an administrative control panel that allows the admin to modify, create, and delete polls. In this guide, we'll skip through the tutorial steps, and simply clone the final application from the DigitalOcean Community django-polls repo. From there, you can follow the Writing your first Django app tutorial from the official Django documentation. When you're done, skip to Step 5.
manage.py is the main command-line utility used to manipulate the app. polls contains the polls app code, and mysite contains project-scope code and settings. templates contains custom template files for the administrative interface. To learn more about the project structure and files, consult Creating a Project from the official Django documentation. Before running the app, we need to adjust its default settings and connect it to our database. In this step, we'll modify the Django project's default configuration to increase security, connect Django to our database, and collect static files into a local directory. Start by locating the ALLOWED_HOSTS directive. This defines a list of the addresses or domain names that you want to use to connect to the Django instance. An incoming request with a Host header not in this list will raise an exception. Django requires that you set this to prevent a certain class of security vulnerability. In the square brackets, list the IP addresses or domain names associated with your Django server. Each item should be listed in quotations with entries separated by a comma. Your list will also include localhost, since you will be proxying connections through a local Nginx instance. If you wish to include requests for an entire domain and any subdomains, prepend a period to the beginning of the entry. Next, find the section of the file that configures database access. It will start with DATABASES. The configuration in the file is for a SQLite database. We already created a PostgreSQL database for our project, so we need to adjust these settings. We will tell Django to use the psycopg2 database adaptor we installed with pip, instead of the default SQLite engine. We’ll also reuse the Connection Parameters referenced in Step 2. You can always find this information from the Managed Databases section of the DigitalOcean Cloud Control Panel. At this point, you've configured the Django project's database, security, and static files settings. If you followed the polls tutorial from the start and did not clone the GitHub repo, you can move on to Step 6. If you cloned the GitHub repo, there remains one additional step. Copy the resulting key to your clipboard. Exit the Python interpreter by pressing CTRL+D. We'll now test the app locally using the Django development server to ensure that everything's been correctly configured. Before we run the Django development server, we need to use the manage.py utility to create the database schema and collect static files into the STATIC_ROOT directory. makemigrations will create the migrations, or database schema changes, based on the changes made to Django models. migrate will apply these migrations to the database schema. To learn more about migrations in Django, consult Migrations from the official Django documentation. The static files will then be placed in a directory called static within your project directory. Enter the administrative username and password you created with the createsuperuser command. We passed Gunicorn a module by specifying the relative directory path to Django's wsgi.py file, the entry point to our application,. This file defines a function called application, which communicates with the application. To learn more about the WSGI specification, click here. We'll now offload the application’s static files to DigitalOcean Spaces. At this point, Gunicorn can serve our Django application but not its static files. Usually we'd configure Nginx to serve these files, but in this tutorial we'll offload them to DigitalOcean Spaces using the django-storages plugin. This allows you to easily scale Django by centralizing its static content and freeing up server resources. 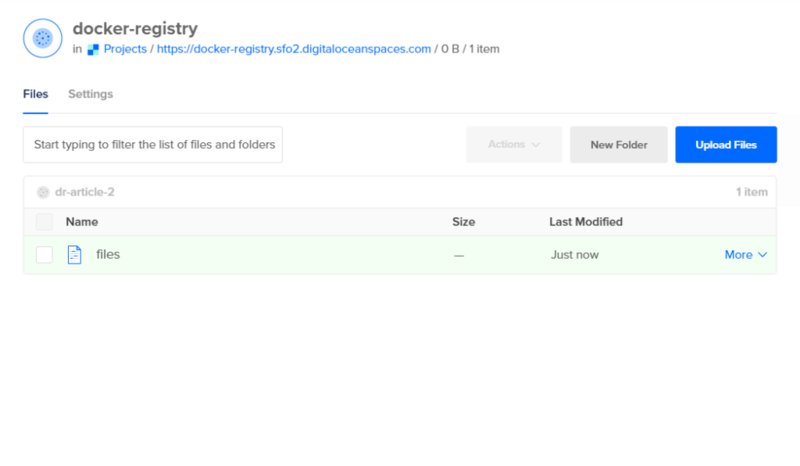 In addition, you can deliver this static content using the DigitalOcean Spaces CDN. For a full guide on offloading Django static files to Object storage, consult How to Set Up Object Storage with Django. We'll begin by installing the django-storages Python package. The django-storages package provides Django with the S3Boto3Storage storage backend that uses the boto3 library to upload files to any S3-compatible object storage service. AWS_ACCESS_KEY_ID: The Access Key ID for the Space, which you created in the tutorial prerequisites. If you didn’t create a set of Access Keys, consult Sharing Access to Spaces with Access Keys. AWS_SECRET_ACCESS_KEY: The secret key for the DigitalOcean Space. AWS_STORAGE_BUCKET_NAME: Your DigitalOcean Space name. AWS_S3_ENDPOINT_URL : The endpoint URL used to access the object storage service. For DigitalOcean, this will be something like https://nyc3.digitaloceanspaces.com depending on the Space region. AWS_S3_OBJECT_PARAMETERS Sets the cache control headers on static files. AWS_LOCATION: Defines a directory within the object storage bucket where all static files will be placed. AWS_DEFAULT_ACL: Defines the access control list (ACL) for the static files. Setting it to public-read ensures that the files are publicly accessible to end users. STATICFILES_STORAGE: Sets the storage backend Django will use to offload static files. This backend should work with any S3-compatible backend, including DigitalOcean Spaces. STATIC_URL: Specifies the base URL that Django should use when generating URLs for static files. Here, we combine the endpoint URL and the static files subdirectory to construct a base URL for static files. STATIC_ROOT: Specifies where to collect static files locally before copying them to object storage. 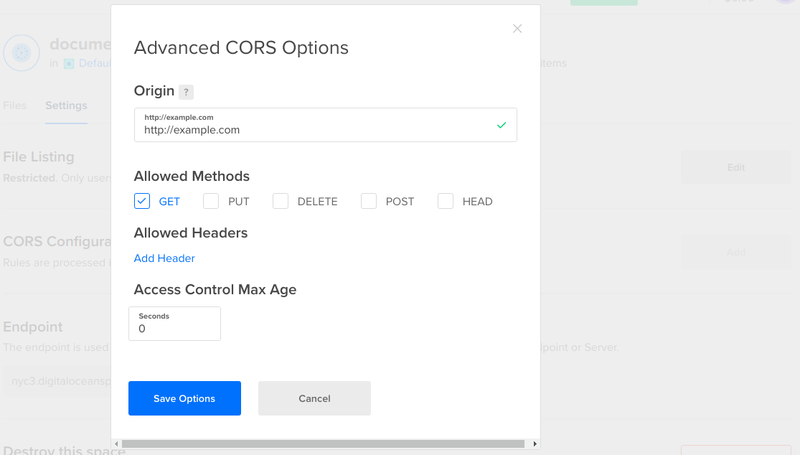 Before we test that this is all functioning correctly, we need to configure Cross-Origin Resource Sharing (CORS) headers for our Spaces files or access to certain static assets may be denied by your web browser. CORS headers tell the web browser that the an application running at one domain can access scripts or resources located at another. In this case, we need to allow cross-origin resource sharing for our Django server's domain so that requests for static files in the Space are not denied by the web browser. In the CORS Configurations section, click Add. Warning: When you deploy your app into production, be sure to change this value to your exact origin domain (including the http:// or https:// protocol). Leaving this as the wildcard origin is insecure, and we do this here only for testing purposes since setting the origin to http://example.com:8000 (using a nonstandard port) is currently not supported. Under Allowed Methods, select GET. Click on Add Header, and in text box that appears, enter Access-Control-Allow-Origin. Set Access Control Max Age to 600 so that the header we just created expires every 10 minutes. From now on, objects in your Space will contain the appropriate Access-Control-Allow-Origin response headers, allowing modern secure web browsers to fetch these files across domains. At this point, you can optionally enable the CDN for your Space, which will serve these static files from a distributed network of edge servers. 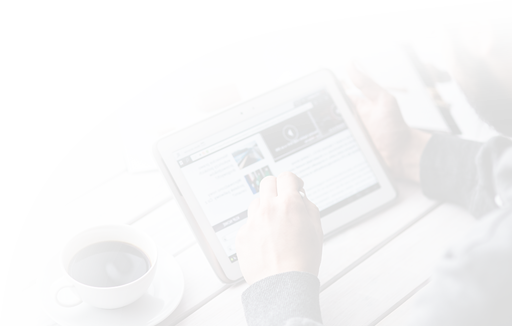 To learn more about CDNs, consult Using a CDN to Speed Up Static Content Delivery. This can significantly improve web performance. If you don't want to enable the CDN for your Space, skip ahead to the next section, Testing Spaces Static File Delivery. To activate static file delivery via the DigitalOcean Spaces CDN, begin by enabling the CDN for your DigitalOcean Space. 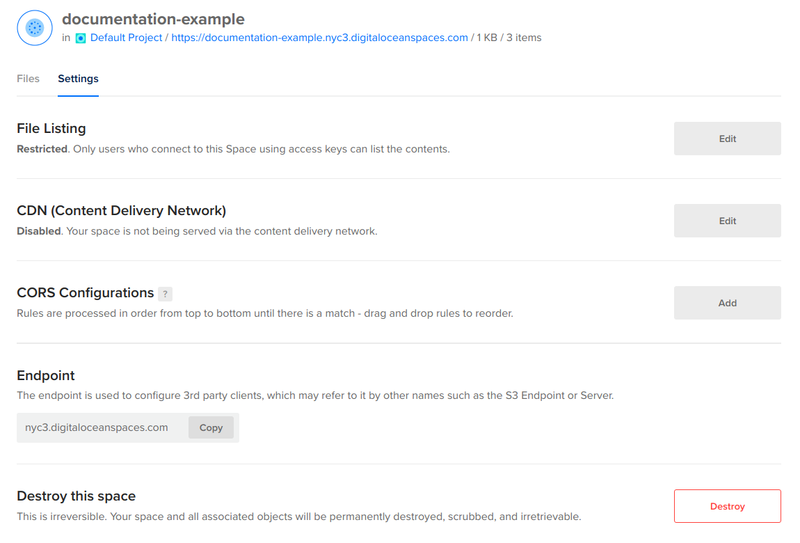 To learn how to do this, consult How to Enable the Spaces CDN from the DigitalOcean product documentation. These endpoints should contain your Space name. Notice the addition of a new Edge endpoint. This endpoint routes requests for Spaces objects through the CDN, serving them from the edge cache as much as possible. Note down this Edge endpoint, as we'll use it to configure the django-storages plugin. Here, replace the spaces_edge_endpoint_URL with the Edge endpoint you just noted down, truncating the https:// prefix. For example, if the Edge endpoint URL is https://example.sfo2.cdn.digitaloceanspaces.com, AWS_S3_CUSTOM_DOMAIN should be set to example.sfo2.cdn.digitaloceanspaces.com. When you start Django, it will now serve static content using the CDN for your DigitalOcean Space. We'll now test that Django is correctly serving static files from our DigitalOcean Space. location as specified in your settings. Type yes and hit ENTER to confirm. This confirms that Django successfully uploaded the polls app static files to your Space. You can navigate to your Space using the Cloud Control Panel, and inspect the files in the static directory. Next, we'll verify that Django is rewriting the appropriate URLs. 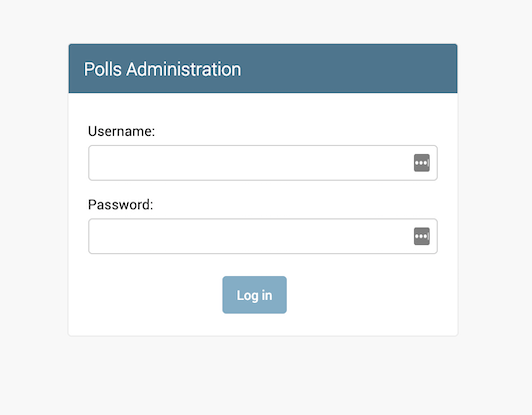 You should once again see the Polls app admin authentication window, this time with correct styling. Now, use your browser's developer tools to inspect the page contents and reveal the source file storage locations. To do this using Google Chrome, right-click the page, and select Inspect. From here, click on Sources in the toolbar. In the list of source files in the left-hand pane, you should see /admin/login under your Django server's domain, and static/admin under your Space's CDN endpoint. Within static/admin, you should see both the css and fonts directories. 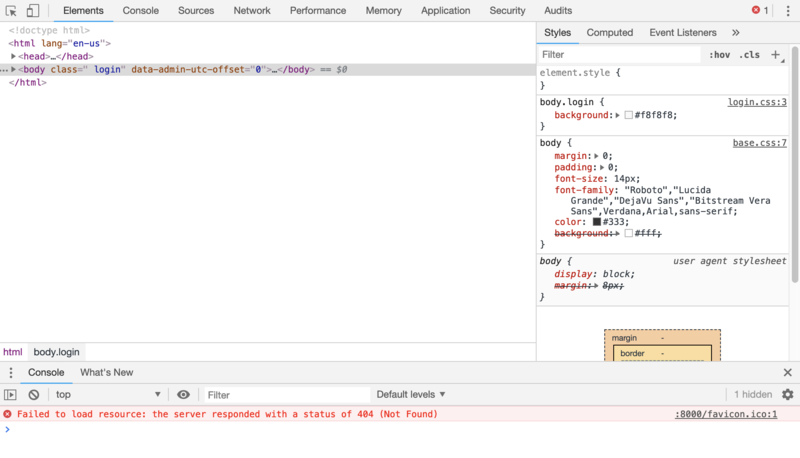 This confirms that CSS stylesheets and fonts are correctly being served from your Space's CDN. Your prompt should return to normal. At this point you've successfully offloaded static files from your Django server, and are serving them from object storage. We can now move on to configuring Gunicorn to start automatically as a system service. In Step 6 we tested that Gunicorn can interact with our Django application, but we should implement a more robust way of starting and stopping the application server. To accomplish this, we'll make systemd service and socket files. We'll then map out the working directory and specify the command to use to start the service. In this case, we'll have to specify the full path to the Gunicorn executable, which is installed within our virtual environment. We will bind the process to the Unix socket we created within the /run directory so that the process can communicate with Nginx. We log all data to standard output so that the journald process can collect the Gunicorn logs. We can also specify any optional Gunicorn tweaks here, like the number of worker processes. Here, we run Gunicorn with 3 worker processes. Mar 05 19:19:16 django systemd: Listening on gunicorn socket. Mar 05 20:43:56 django systemd: Started gunicorn daemon. Mar 05 20:44:15 django gunicorn:  - - [05/Mar/2019:20:44:15 +0000] "GET / HTTP/1.1" 301 0 "-" "curl/7.58.0"
Make sure you troubleshoot any issues before continuing on to configuring the Nginx server. Now that Gunicorn is set up in a more robust fashion, we need to configure Nginx to encrypt connections and hand off traffic to the Gunicorn process. If you followed the preqrequisites and set up Nginx with Let's Encrypt, you should already have a server block file corresponding to your domain available to you in Nginx's sites-available directory. If not, follow How To Secure Nginx with Let's Encrypt on Ubuntu 18.04 and return to this step. We'll now modify the example.com server block file to pass traffic to Gunicorn instead of the default index.html page configured in the prerequisite step. This is a combination of the default server block file created in How to Install Nginx on Ubuntu 18.04 as well as additions appended automatically by Let's Encrypt. We are going to delete the contents of this file and write a new configuration that redirects HTTP traffic to HTTPS, and forwards incoming requests to the Gunicorn socket we created in the previous step. Now, reopen the file and delete its contents. We'll build the new configuration block by block. Here we listen for HTTP IPv4 and IPv6 requests on port 80 and send a 301 response header to redirect the request to HTTPS port 443 using the example.com domain. This will also redirect direct HTTP requests to the server’s IP address. Here, we first listen on port 443 for requests hitting the example.com and www.example.com domains. Next, we provide the same Let's Encrypt configuration included in the default server block file, which specifies the location of the SSL certificate and private key, as well as some additional security parameters. The location = /favicon.ico line instructs Nginx to ignore any problems with finding a favicon. The last location = / block instructs Nginx to hand off requests to the Gunicorn socket configured in Step 8. In addition, it adds headers to inform the upstream Django server that a request has been forwarded and to provide it with various request properties. You should now be able to visit your server's domain or IP address to view your application. Your browser should be using a secure HTTPS connection to connect to the Django backend. These settings tell Django that you have enabled HTTPS on your server, and instruct it to use "secure" cookies. To learn more about these settings, consult the SSL/HTTPS section of Security in Django. At this point, you have configured Nginx to redirect HTTP requests and hand off these requests to Gunicorn. HTTPS should now be fully enabled for your Django project and app. If you're running into errors, this discussion on troubleshooting Nginx and Gunicorn may help. Warning: As stated in Configuring CORS Headers, be sure to change the Origin from the wildcard * domain to your domain name (https://example.com in this guide) before making your app accessible to end users. In this guide, you set up and configured a scalable Django application running on an Ubuntu 18.04 server. This setup can be replicated across multiple servers to create a highly-available architecture. 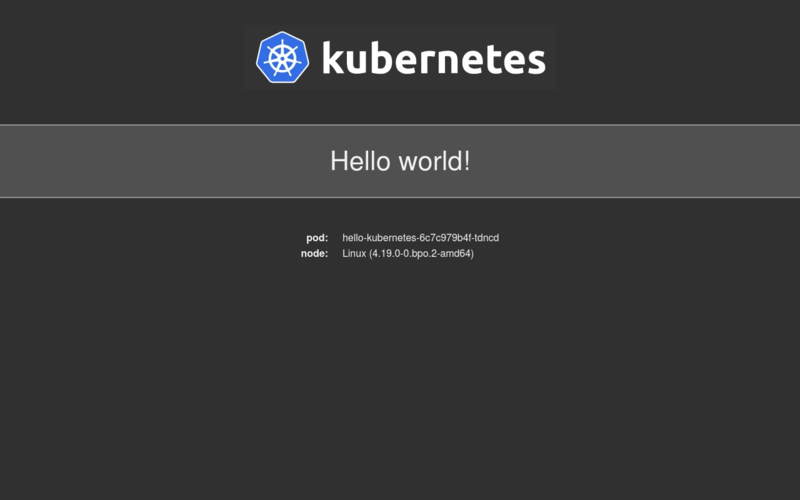 Furthermore, this app and its config can be containerized using Docker or another container runtime to ease deployment and scaling. These containers can then be deployed into a container cluster like Kubernetes. In an upcoming Tutorial series, we will explore how to containerize and modernize this Django polls app so that it can run in a Kubernetes cluster. In addition to static files, you may also wish to offload your Django Media files to object storage. To learn how to do this, consult Using Amazon S3 to Store your Django Site's Static and Media Files. You might also consider compressing static files to further optimize their delivery to end users. To do this, you can use a Django plugin like Django compressor.